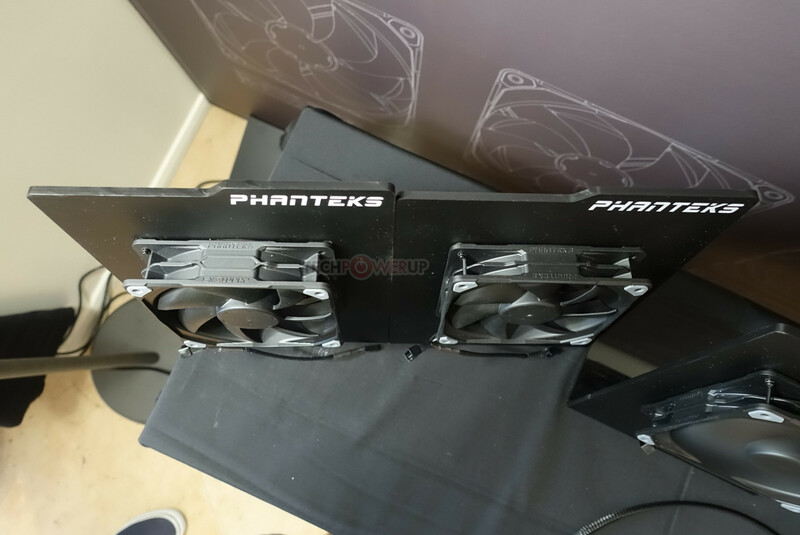 Phanteks showed off its yet to be named upcoming lineup of fan prototypes with an enhanced "multi-faceted" blade design. These blades, made of fiberglass, work to minimize the bulk of the noise caused by the whiplash. Inspired by vortex-dampening wingtips of modern airplanes, the blades are curved perpendicular toward the edges, and maintain a 0.7 mm gap from the bore of the frame. 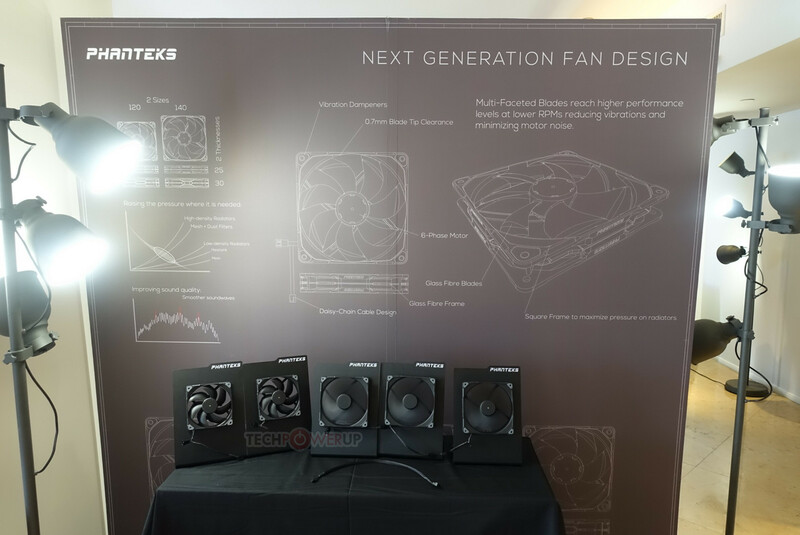 The fans feature a "6-phase motor," although the company didn't mention what kind of bearing they use. The edges of the frame (near the mounts) feature vibration dampening silicone cladding. 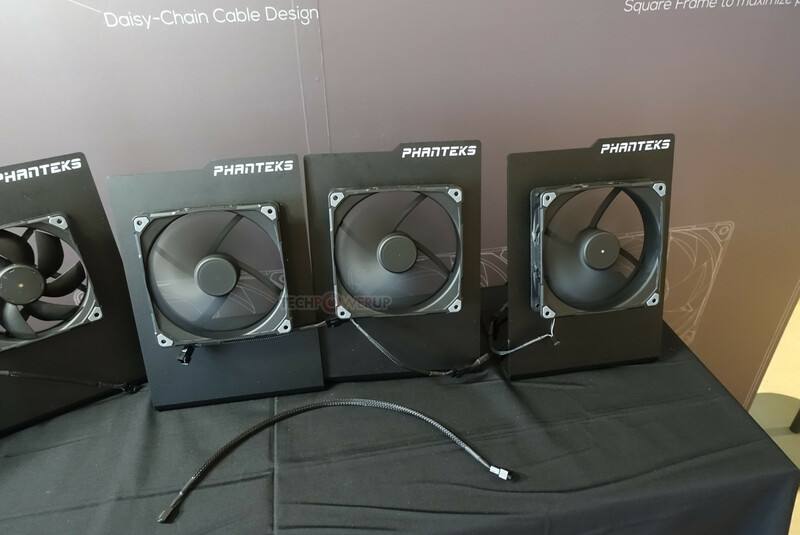 The motors feature daisy-chaining cables, so you can chain up to three fans and mount them onto a radiator with minimal clutter. 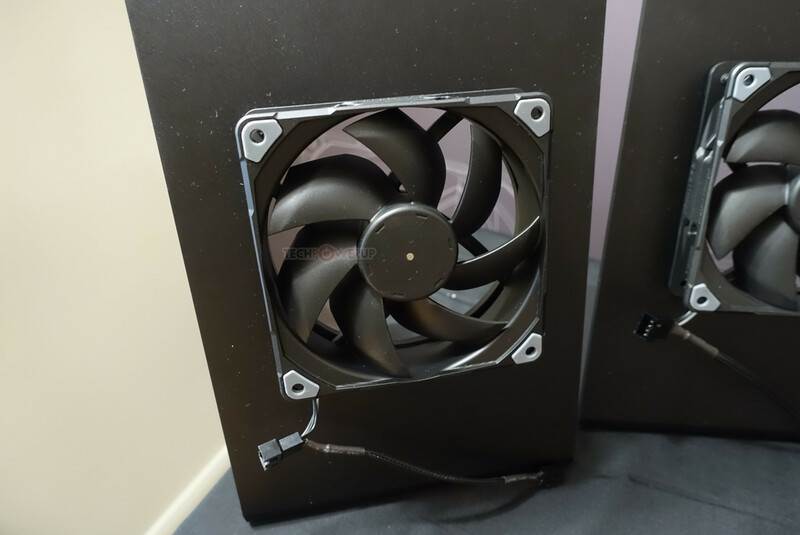 The fans come in 120 mm and 140 mm, each with two thickness-based variants - 25 mm thick, and 30 mm thick. Phanteks doesn't have a concrete launch timeline other than "later this year." More likely the blades are composed of Fibre reinforced plastics, as fibreglass alone is labor intensive and would cost a lot more. You mean the NF-A12x25? They are already available. Really now?, i must have missed them here then, what about the 140mm version? what about the 140mm version? This is what I am waiting on, but it could possibly be awhile before it is released so I may have to just move back to 120mm. Apparently, the performance is really good. There is a 140mm version. going up in size is harder, as making it larger is not easier. With there new design. Thanks, I hadn't caught that news and really hoped they would be able to.